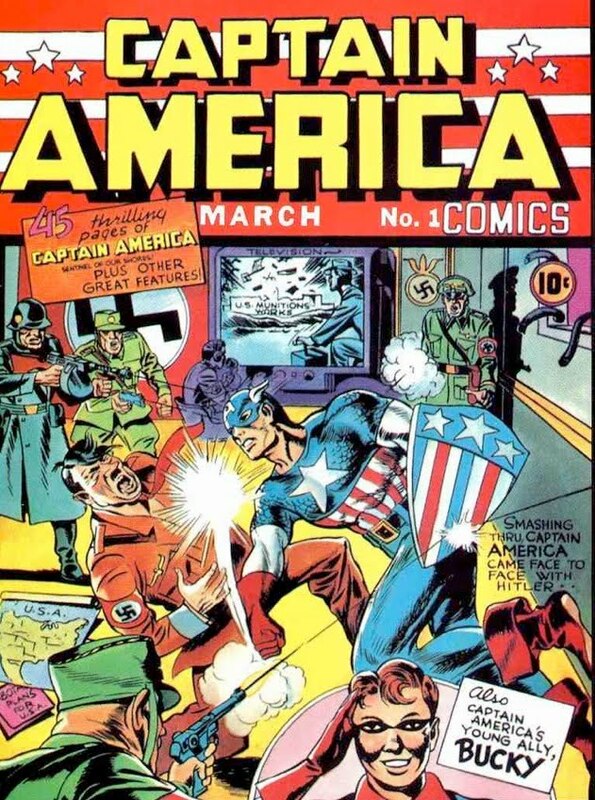 Given that 2016 marks 75 years since Captain America made his first appearance, by punching Mr. Adolf Hitler square in the jaw no less, I thought I would take a couple of minutes to look back on a few of my favourite Cap stories from the comic book page and the silver screen. What does a character so strongly linked to the USA have to offer a dork from Australia? Many people, including myself many years ago, write off Captain America. For the uninitiated he seems like a propaganda-driven caricature, a two dimensional personification of the United States' interests and a constant reminder of America’s bombastic ego. After all, the colours and heraldry of the US flag are emblazoned across his uniform and the name ‘Captian America’ isn’t exactly subtle. Of course, anyone who has actually read a Cap comic knows this interpretation couldn’t be further from the truth. For starters he was created around nine months before America got involved in WW2, ruling out the propaganda angle. Plus in his fictional exploits Cap continually goes against the US government and the powers that be if it conflicts with his own sense of right and wrong. This is made very clear when he rejects the Superhero Registration Act in Marvel Civil War (more on that a bit later) as well as when he takes down a corrupted S.H.I.E.L.D in Captain America: The Winter Soldier. Indeed, there is an unbreakable moral fibre to Steve Rogers, and the mantle of Captain America for that matter, that far outweighs any race, nationality or political leaning. He is a leader, a fighter but most importantly an interesting and multidimensional character. Despite his name, Captain America is a character with universal appeal. Cravings for freedom, liberty and the will to fight to protect what we hold most dear are not uniquely American: they are essentially human. Ten years on and Marvel Civil War by Mark Millar and Steve McNiven continues to stand out as one of Marvel’s best, if not the best, cross-over events. Millar’s no-holds-barred approach to cape books combined with McNiven’s sharp, precise artwork deliver an action packed and brutal conflict between Iron Man and Captain America. In Civil War we see Cap as both a fearless leader, bravely leading leading a team of street-level heroes against Iron Man’s technologically superior government-supported heroes, and as a ruthless soldier, unwilling to surrender and prepared to do whatever it takes. Although Iron Man eventually wins the day, Civil War really is Cap’s book. The book starts with Cap right on the edge and only continues to push him from there. As civil war rages on we see Cap go to extreme lengths, fighting countless friends and old superhero allies, and even making an uneasy alliance with the Punisher in order to fight for what he believes is ethically and morally right. As much as I enjoyed Captain America: The First Avenger I’ll be the first to admit it was pretty goofy, and at times downright cringeworthy. 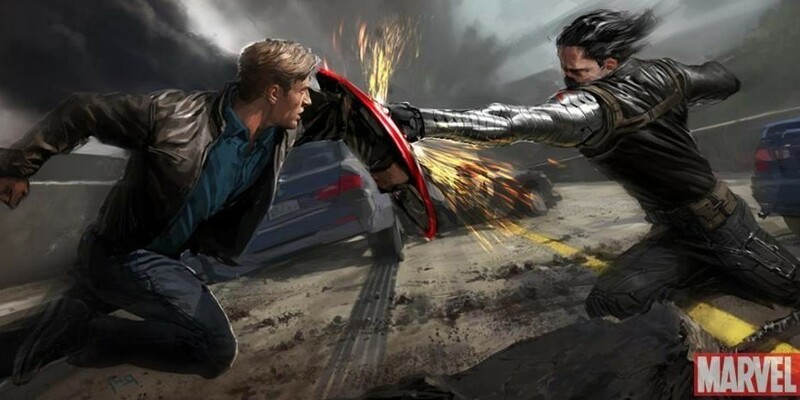 Fortunately 2014’s follow up, Captain America: The Winter Soldier, leaves this all behind; the film fleshes out who Steve Rogers is and how he fits into this brave new world into which he has been so unceremoniously thrown. And that is precisely why I love this film. The "man out of time" element has always been one of the strongest parts of the character of Steve Rogers, and Winter Soldier explores this perfectly, having Steve slowly acclimatise to the 21st century only to be thrown a curve ball from his past. Although this was a common trope used by Ed Brubaker in his formative comic book run writing the character, Captain America: The Winter Soldier manages to condense and synthesis some of the best parts of this run without losing any of the heart. No one does superheroes quite like Ed Brubaker. He brings a certain grit and grounded feel to everything he touches, his epic run on Cap being no exception. 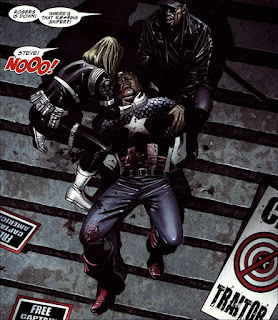 Brubaker understands that Cap is a man with scars; a wounded warrior desperately fighting a war he can never truly win. Although just about any arc from Brubaker’s superlative run could be on this list, there is something particularly special about The Death of Captain America. In many ways it encapsulates what makes Brubaker's time with the comic just so damn special; there were always dire consequences. 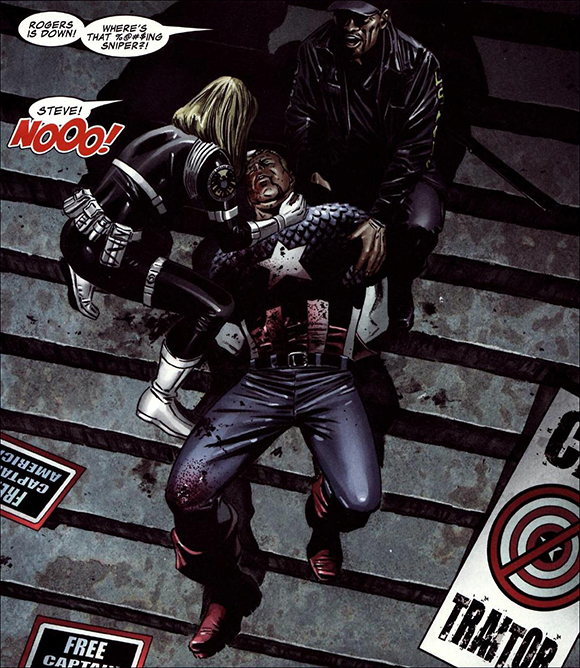 And none were more dire than Steve losing his life at the hands of his friend and lover, Sharon Carter. Reading those pages and seeing the images of Cap bleeding out, beautifully illustrated by Steve Epting, really made it hurt. Brubaker isn’t just the guy that killed Steve Rogers, he is the guy that made me care about it.